(Top)"AND A LITTLE CHILD SHALL LEAD THEM"
While the uniforms were onEntertainmentCourtesiesPresentsNo home was so good that it was not honored by their presence. They were our blind heroes then. But when the uniforms came off, they were just poor blind boys. Time and affliction have transformed the blind boys into blind men. 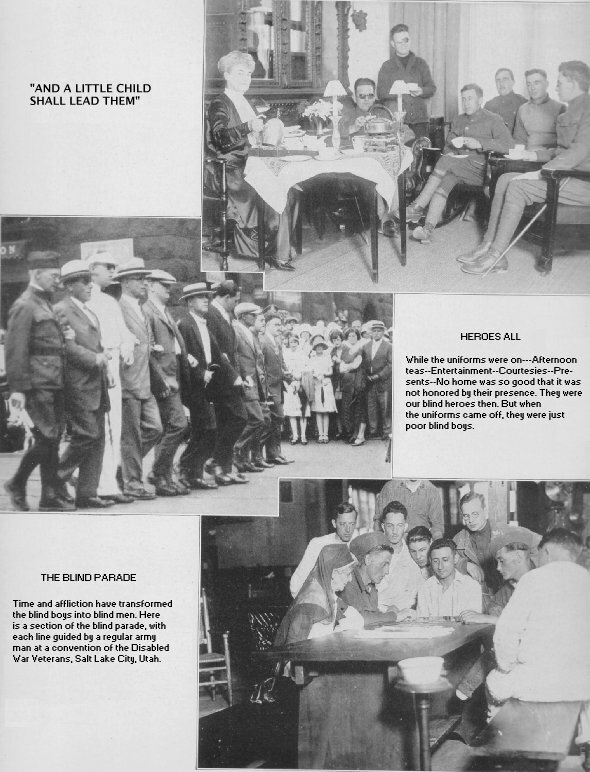 Here is a section of the blind parade, with each line guided by a regular army man at a convention of the Disabled War Veterans, Salt Lake City, Utah.